Now in its 136th year, the Royal Ulster Academy of Arts Annual Exhibition remains one of the highlights of the Northern Ireland arts calendar. The Exhibition showcases original works across the disciplines of the visual arts by emerging and established artists from around the world. Over £7,000 in prize money will be awarded in 2017, to exhibiting artists of merit. Artists can enter a maximum of three (3) works in any medium. Submitted work must be for sale, with the exception of one portrait piece per artist. 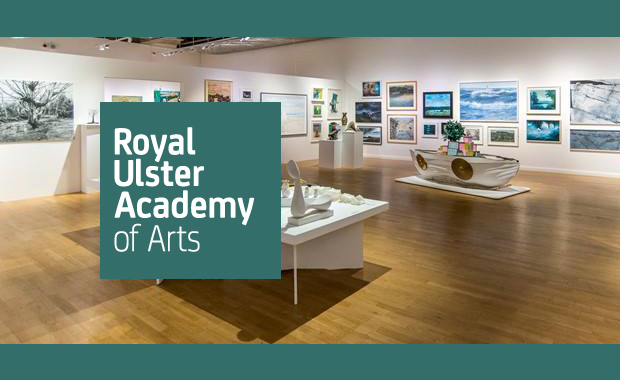 The Royal Ulster Academy is an artist led organization which aims to celebrate, enrich and expand contemporary approaches to the visual arts. It was originally founded as The Belfast Rambler’s Sketching Club in 1879, became the Ulster Academy of Arts in 1930, and finally the Royal Ulster Academy in 1950. Last year, the Royal Ulster Academy Exhibition attracted over 85,000 visitors. This year the Annual Exhibition will be held at the Ulster Museum, Belfast from 6th October 2017 to 7th January 2018. Fees are £15 per artwork for the first two works and £10 for the third work entered. Students are offered a reduced rate of £10 for the first two works entered and £7.50 for the third work.